As you all know, one week ago we started our security token offering, and so far everything has gone much better than we expected! This Thursday (November 15) we are holding yet another live Q&A Facebook session with our CEO, Laimonas Noreika. 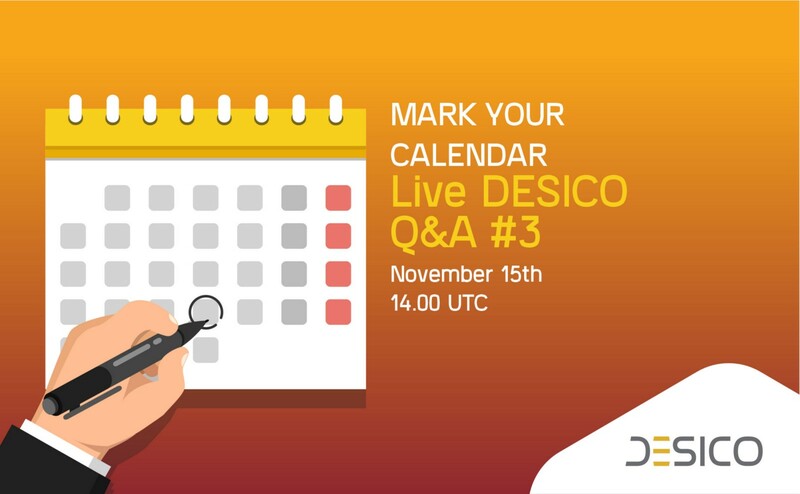 It will happen at 14:00 UTC, and it is your opportunity to ask Laimonas anything you want about the crowdsale so far, plus the future of DESICO and the role that security tokens will play in future financial markets. If you are interested in being part of the future of security tokens and helping us meet our hard cap to develop DESICO, you can purchase your DESI tokens right here.